The British government has prepared an extradition request to Moscow for two Russians they claim carried out the Salisbury nerve agent attack, according to The Guardian, citing Whitehall and security sources. Former Russian double-agent Sergei Skripal and his daughter Yulia were found unconscious on a public bench in Salisbury in early March - which UK authorities believe was due to a nerve agent called Novichok. Months later on June 30, nearby residents Charlie Rowley and Dawn Sturgess, a 44-year-old mother of three, were subsequently treated for exposure to the nerve agent. Rowley recovered while Sturgess died. Authorities are operating on the assumption that the Skripals were poisoned using a novichok-laced perfume bottle or a door handle smeared with the nerve agent, while Rowley may have picked up said bottle and given to Sturgess, who applied it to her wrists. Sturgess received a much higher dose than the other three after apparently smearing the substance on her wrists, having sprayed it from the bottle. Rowley’s recovery was helped, according to a source, by one of the first responders being familiar with the nerve agent, having been involved in helping the Skripals. UK authorities believe they have pieced together the movements of the two Russians, from their entry into the UK to their departure after the alleged assassination attempt. Following the attack on the Skripals, European and US allies took Britain's side on the attack, ordering the largest expulsion of Russian diplomats since the height of the Cold War, reports Reuters. In response, Russia retaliated by expelling Western diplomats, while the Kremlin has repeatedly denied involvement in the attacks - while accusing the UK intelligence agencies of staging the attack in order to inflame anti-Russia tensions. Oddly, Sergei Skripal was linked by The Telegraph to a consultant with former UK spy Christopher Steele's Orbis Business Intelligence, who he reportedly had repeated contacts with. 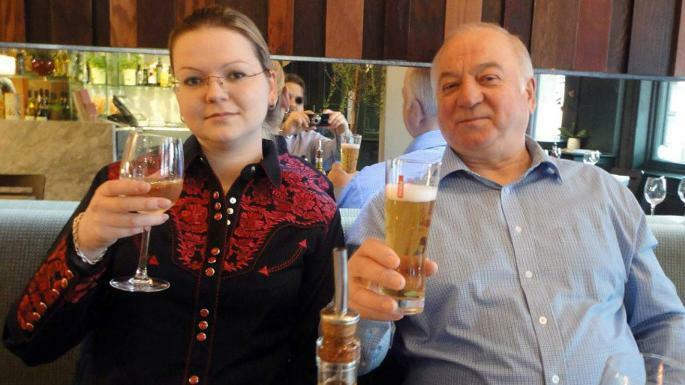 The motive for trying to assassinate the 66-year-old skripal is unknown. Skripal moved to the UK in a Kremlin-approved "spy swap" in 2010, causing many to question why they would suddenly try to take him out a decade later. These claims raise a number of very obvious questions. For example, how did the assassin(s) apply such a powerful chemical without wearing protective clothing? How did the people who are said to have come into contact with the substance not die immediately, or at the very least suffer irreparable damage to their Central Nervous Systems? How did this military grade nerve agent manage not only to have a delayed onset, but also managed to affect a large 66-year-old man and his slim 33-year-old daughter, both of whom would have vastly different metabolic rates, at exactly the same time? These are perfectly reasonable questions that deserve reasonable answers. I am aware, however, that no matter how obvious and rational such questions might be, doing so places one – at least in the eyes of the authorities – in the camp of the conspiracy theorist. This is disingenuous. One of the marks of a true conspiracy theorist is that he is someone who refuses to accept an explanation for an event, even after being presented with facts which fit and explain it coherently. But when the “facts” presented in a case do not fit the event they are supposed to explain, and are neither rational nor coherent — as in the Salisbury case — then calling the person who raises legitimate questions a “conspiracy theorist” is a bit rich, is it not? Nevertheless, for the purposes of this piece, what I’d like to do is work on the assumption that the “Military Grade Nerve Agent on the Door Handle” claim is correct. And working from this assumption, I want to ask some questions about how the authorities have handled the case. The point is this: These questions are not really intended to challenge the official claims; rather the intention is to ask whether the authorities have handled the case correctly on their own terms. 1. Prior to the investigation’s focus on the door handle, for a period of almost three weeks there were at least nine other theories proposed by the authorities as to where the Skripals came into contact with the poison. These included the restaurant, the pub, the bench, the cemetery, the car, the flowers, the luggage, the porridge and even a drone. During that time, police officers and investigators were entering and leaving the house, by the door, since it was not known to be the place where the poison was located. Can the authorities explain how these officers and investigators were not poisoned? 2. Once the door handle theory was established, those who had been in and out of the property during the previous three weeks would naturally have been concerned about the possibility that they had been contaminated. Can the authorities tell us what steps were taken to reassure these officers? 3. Every officer who entered the house after 4th March, and before the door handle became an object of interest, should have been given a medical examination to check for signs of poisoning. Can the authorities confirm that this took place for every officer? 4. Initial reports about Detective Sergeant Nick Bailey stated that he was poisoned at the bench, after coming to the aid of Mr Skripal and Yulia. However, on 9th March, Lord Ian Blair stated that D.S. Bailey had actually become poisoned after visiting Mr Skripal’s house. Since he was thought to have been poisoned with a military grade nerve agent, and since it was thought that this had occurred at Mr Skripal’s house, the immediate next step should have been to seal off the house and set up a mobile decontamination unit outside. However, numerous photographs show officers in normal uniforms standing close to the door long after Lord Blair’s claim. Can the authorities confirm why the house was not sealed off and a decontamination unit set up immediately after it became known that D.S. Bailey had been there, and why officers with no protective clothing on were allowed to continue standing guard outside the house for the next few weeks? 5. Can the authorities explain how these decisions did not put the health and even the lives of those officers in jeopardy? 6. Before the door handle theory was settled on, the majority of competing theories put out by the authorities tended to assume that Mr Skripal was poisoned long before he went to Zizzis. For example, the flowers, the cemetery, the luggage, the porridge and the car explanations all assume this to be the case. What this means is that according to the assumptions of police at that time, when Mr Skripal fed the ducks near the Avon Playground with a few local boys, at around 1:45pm, he was already contaminated. Yet although this event was caught on CCTV camera, it was more than two weeks before the police contacted the parents of these boys. 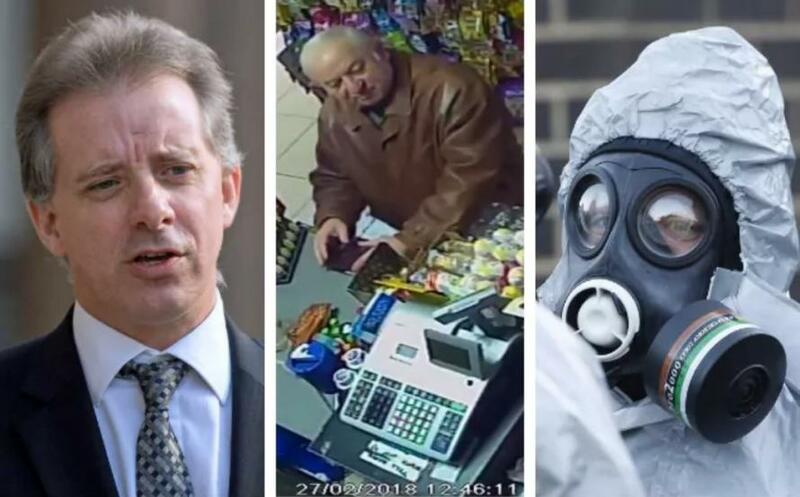 Can the authorities explain why it took more than two weeks to track down the boys, who – as the CCTV apparently shows – were given bread by Mr Skripal? 7. Can the authorities comment on why they did not air the CCTV footage on national television, in an effort to appeal to the boys or their parents to come forward, and whether the delay in tracking them down might have put them in danger? 8. If the door handle was the place of poisoning, it is extremely likely that the bread handed by Mr Skripal to the boys would have been contaminated. Certainly, areas that he visited after this incident were deemed to be so much at risk that they were either closed down (for example, The Mill and Zizzis, which are both still closed), or destroyed (for instance, the restaurant table, the bench and – almost certainly – the red bag near the bench have all been destroyed). Can the authorities comment on how the boys, who were handed bread by Mr Skripal, managed to avoid contamination? 9. It has been said that one of the reasons the Government is/was so sure that the ultimate culprit behind the poisoning was the Russian state, is the apparent existence of an “FSB handbook” which, amongst other things, allegedly features descriptions of how to apply nerve agent to a door handle. Given that the Prime Minister first made a formal accusation of culpability on 12th March in her speech to the House of Commons, the Government must therefore have been in possession of this manual prior to that day. However, claims about the door handle being the location of the poison did not appear until late March (the first media reports of it were on 28th March). What this means is there was a delay of several weeks between the Government making its accusation, based partly on the apparent existence of the “door handle manual”, and the door handle of Mr Skripal’s house being a subject of interest to investigators. Can the authorities therefore tell us whether the Government’s failure to pass on details of the “door handle manual” put the lives of the officers going in and out of Mr Skripal’s house from 5th March to 27th March in jeopardy? Now that Sergei and Yulia Skripal have been awake and able to communicate for around four months, these details are presumably now all known to investigators. In the normal course of such a high profile investigation, details such as these would be relayed to the public in the hope of jogging memories to prompt more information. And in fact, many such details have been released to the public in this case. Yet, confirmation of Mr Skripal’s and Yulia’s movements that day remain conspicuous by their absence. Can the authorities confirm that the movements of the Skripals that day are now understood, and that they will be made known shortly, in order that more information from the public might then be forthcoming? These questions have nothing to do with any conspiracy theory. On the contrary, they are all based on the assumption that the two central claims made by the authorities regarding the mode and the method used in this incident are correct. They are, however, very serious and perfectly legitimate questions about the way the authorities have dealt with this incident, on their own terms and on the basis of their own claims.